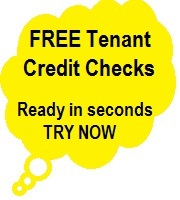 New Landlords great for renters. According to a leading nationwide tenant referencing service, the the ever growing numbers of new landlords entering into the buy-to-let sector due to the economic situation, are bringing a perceived positive change to the market. Increased numbers of people are having to rent rather than buy because they cannot afford the high deposits, this is in turn is rocketing prices within the sector because of supply and demand. The state of the economy is encouraging new landlords into the market as they are unable to sell their properties. Renting makes sense especially for those looking to take full advantage of the low interest rates. Greg Kinnear, Managing Director of the tenant referencing service, feels that the market is attracting a much wider age profile of buy-to-let landlords which is rapidly changing the face of the market. He says: “We are seeing more and more landlords nearing retirement age, so-called ‘grandlords’, entering the market with the intention of supplementing their state pension. Property is seen as a great hedge against inflation and many hope that it will provide them with a regular income and a great way to top up their retirement pot. Mr. Kinnear acknowledges that new landlords are certainly helping to reduce the UK housing shortage and he feels that they are also changing the historically perceived negative image of landlords. He says: “The image of the private landlord has changed so much from the poor image and reputation it used to suffer from. Renting has become more appealing and socially acceptable as a result of the recession and the changing landscape of the sector has helped the role of landlords to be recognised as a business model too. We at P.I.M.S.co.uk certainly welcome these positive declarations; however we do feel that the press and the government are more than responsible for helping to keep the negative image of the sector in front of the public eye.